Kenneth Novack practiced law for 32 years at Mintz, Levin, Cohn, Ferris, Glovsky, and Popeo, where he also served as managing partner and president for 10 years. His many healthcare clients included, from their inception, Biogen, ImmunoGen, Myriad Genetics and Paratek Pharmaceuticals. In 1998, Novack joined America Online as vice chairman, where he played lead roles in AOL’s major transactions, including its merger in 2001 with Time Warner. Following the merger, he served as vice chairman of the combined company until his retirement in 2003. Subsequently, Novack was a partner for five years at General Catalyst Partners. Throughout his business career, he has invested in many healthcare businesses and is currently an investor in several early-stage life science companies. In addition to his being a director of Cardurion, Novack is a director of Appleton Partners, a member of the Advisory Board of General Catalyst Partners, and lead director of Leerink Partners. 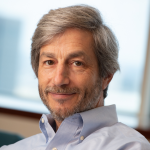 His prior boards include America Online, BBN Technologies, Charles River Labs, Ekco Group, Humedica (where he was Chairman), Paratek Pharmaceuticals and Time Warner. He is also trustee emeritus and retired vice chairman of Boston’s Museum of Science and Tufts Medical Center. Novack is a graduate of Harvard Law School and received a B.A. from Dartmouth College. Leerink Partners, Director (Lead), Director, Appleton Partners; Advisory Board Member, General Catalyst Partners. Previous boards include Time Warner Inc., Charles River Labs, Paratek Pharmaceuticals, Ekco Group, BBN Technologies, and Humedica (Chairman). 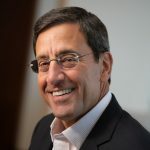 Partner, General Catalyst Partners (2003-2008); Vice Chairman, Time Warner Inc. (2001-2003); Vice Chairman, America Online (1998-2001); Partner, Mintz, Levin, Cohn, Ferris, Glovsky and Popeo (1966-1998). Clients included Biogen, ImmunoGen, and Myriad Genetics.